A sworn translation is a translation performed by a sworn translator authorised by the Minister of Foreign Affairs. The sworn translator acts like a notary public and verifies the veracity of the translated document. The sworn translator performs a faithful and complete translation of a document that has been handed by the client (either on paper or via e-mail). Also, the sworn translator must attach a copy of the translated document with the date and the seal on every page. He or she must perform a correct, faithful and complete translation of the original. He or she must not add or erase any content. This kind of translation can be used to support the translated information while at the same time the translator takes responsibility of the translation with his or her signature and seal. 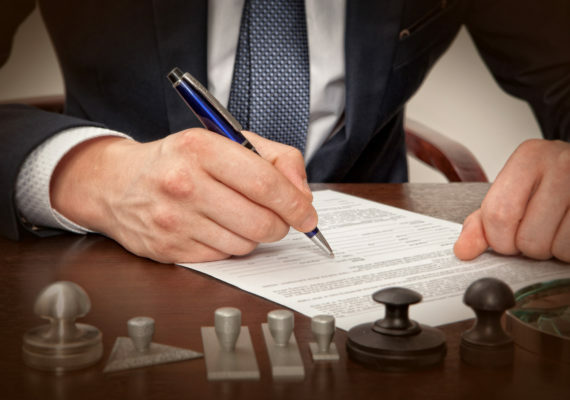 The sworn translator certifies that the contents of the original document have been translated fully and faithfully into another language, and he verifies it legally with his or her signature and seal. These contents must be translated, signed and certified by a very concrete professional: the sworn translator. The need of this kind of translations appears by requirement of different institutions (Minister, Court, Academic institutions, etc.). These bodies, Spanish or foreign, require the translation to be sworn. Not all translators can perform a sworn translation (it is compulsory to be a certified sworn translator) and requirements vary from one country to another depending on which one needs the documents. In Spain and for Spanish documents, the sworn translator must have a titulation by the Spanish Minister of Foreign Affairs. This titulation acknowledges that such person is legally capable of performing translations from a foreign language into Spanish and vice versa. It must be taken into account that the person who signs a sworn translation must have a solid background that allows him or her to understand all the information of the document. That is why the sworn translator must be an expert on the subject, as well. Sworn translations is one of the special services that MC Traducciones offers for all those occasions when it is necessary to officialy certify that the content of the translated text is totally faithful to the original text. We have an expert team of sworn translators certified by the Spanish Minister of Foreign Affairs.